Single Board Computers are the building blocks for routers, managed switches, and wireless network controllers. 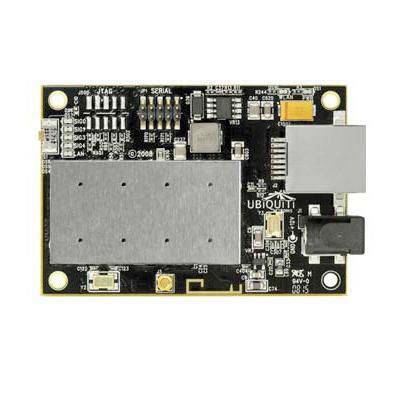 RB/411AH RB411AH Mikrotik RouterBOARD 411AH with Atheros AR7161 680MHz Network CPU (overclock to 800MHz), 64MB DDR RAM, 1 LAN, 1 miniPCI, 64MB NAND with RouterOS L4 - New RB/493 RB493 Mikrotik RouterBOARD 493 with 300MHz Atheros AR7130 Network Processor, 64MB RAM, 9 LAN, 3 miniPCI, RouterOS L4 - New! RB/493AH RB493AH Mikrotik RouterBOARD 493 with 680MHz Atheros AR7161 Network Processor, 128MB RAM, 9 LAN, 3 miniPCI, RouterOS L5 - New!